Posted By Edward, 12th Dec 2017. 6 Minute Read. You can never get enough ideas when designing a small bathroom. Whether you are renovating a small family bathroom or adding a downstairs toilet, ensuite or cloakroom bathroom to your home: there are more products designed for small spaces than ever before. Some of the most effective bathroom ideas for small bathrooms are actually the most simple. 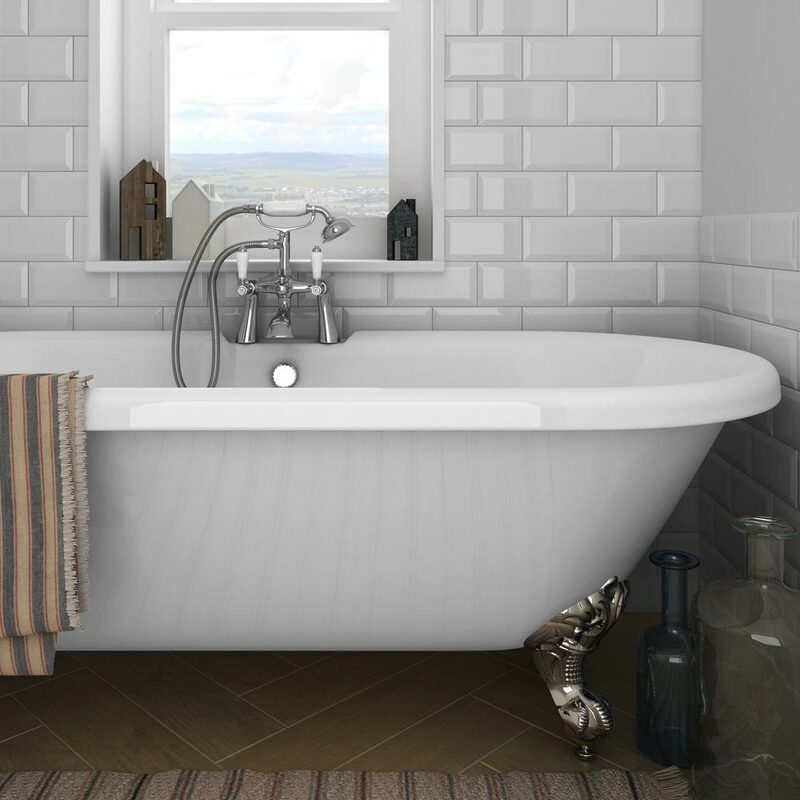 In this expert guide from online bathrooms retailer Victorian Plumbing we take you through 21 simple small bathroom ideas that could be perfect for your small bathroom renovation. Combined sink and toilet units are fantastic ideas for small bathrooms because they combine 3 fixtures into one compact bathroom unit. 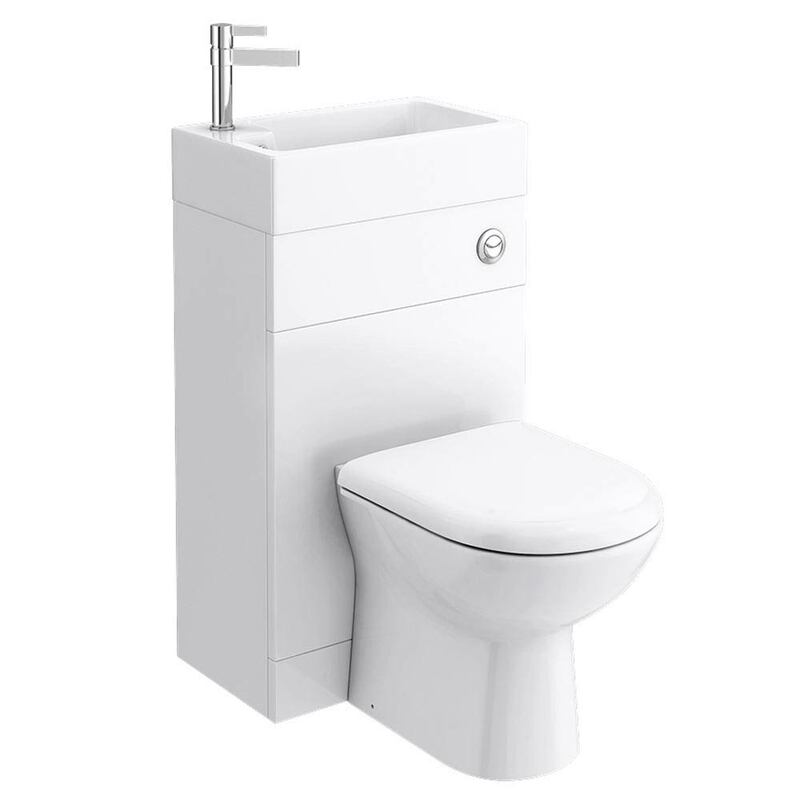 Toilet and sink combination units typically include a basin, a WC toilet and a bathroom storage cabinet. 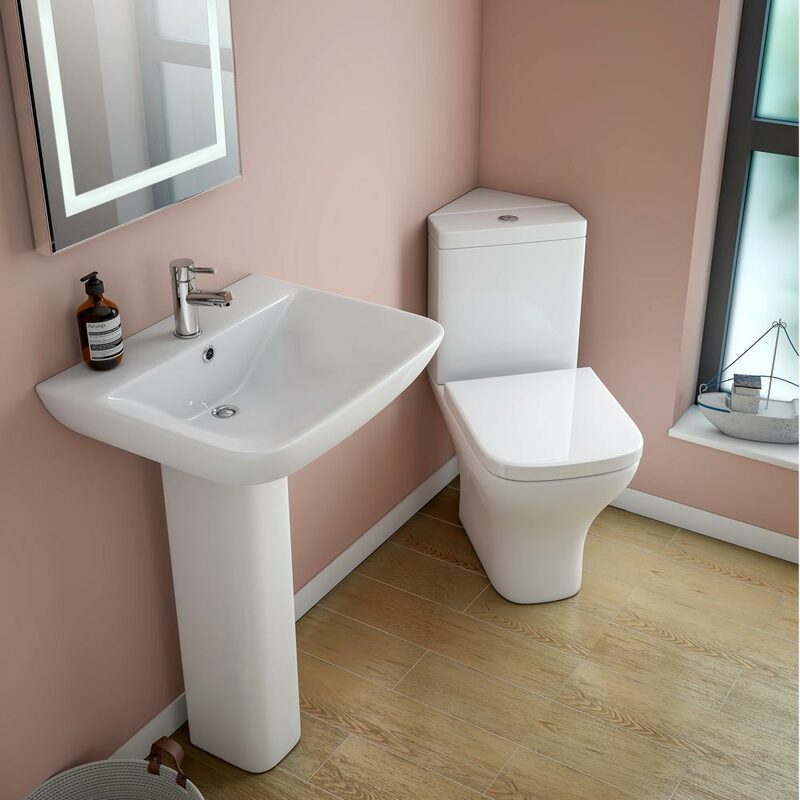 There are plenty of shapes, sizes and styles on the market in the UK so you are sure to find a sink and toilet combination unit that will fit in with your bathroom design. 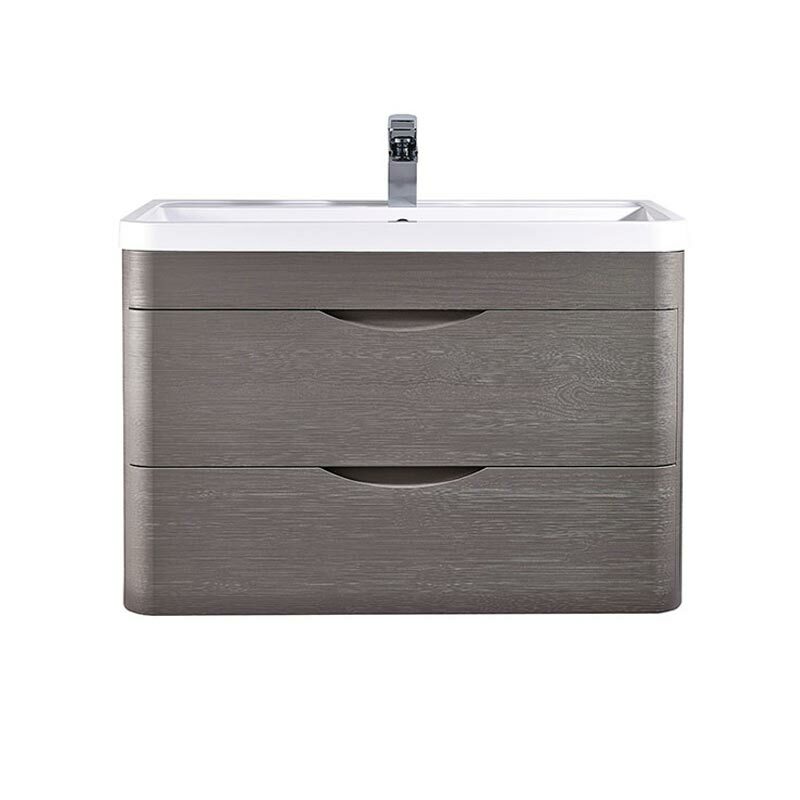 The Cove unit featured above is ideal for small modern bathrooms. Using the space in the corners of your bathroom is a great small bathroom idea and a clever way to open up the space in the room. You may have given up on the idea of adding a bathtub to your small bathroom however a corner bath might make you change your mind. 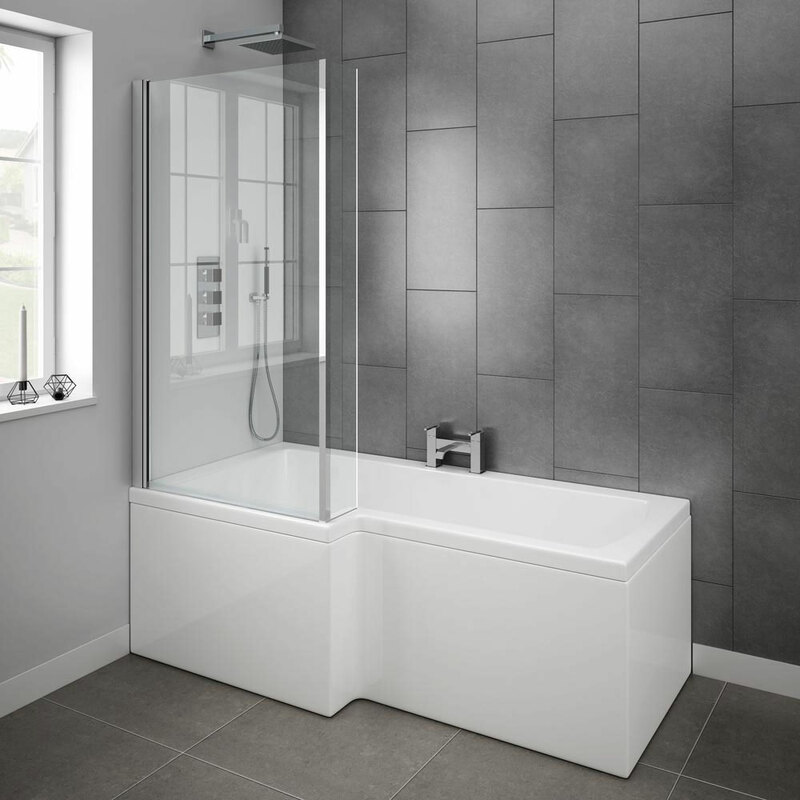 If you're currently deciding between a bath or a shower then why not take a look at a corner bath with shower? 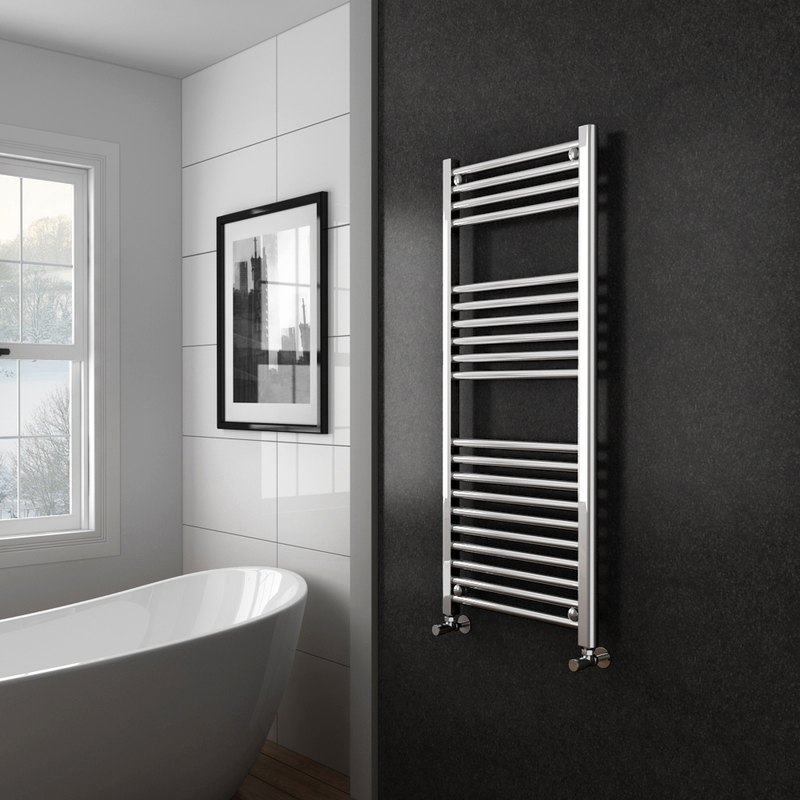 A fantastic space saving solution: heated ladder radiators keep your towels toasty warm and easily within arms reach when you're hopping out of the bath or shower. There are lots of shapes and sizes to consider including both curved and straight ladder towel rails. A straight ladder design may work better for a small space as it doesn't protrude as much as a curved design. Small bathrooms can mean tight spaces which in turn means you run the risk of knocking yourself against the edges from time to time. The solution here is to employ bathroom items with smooth, rounded edges. 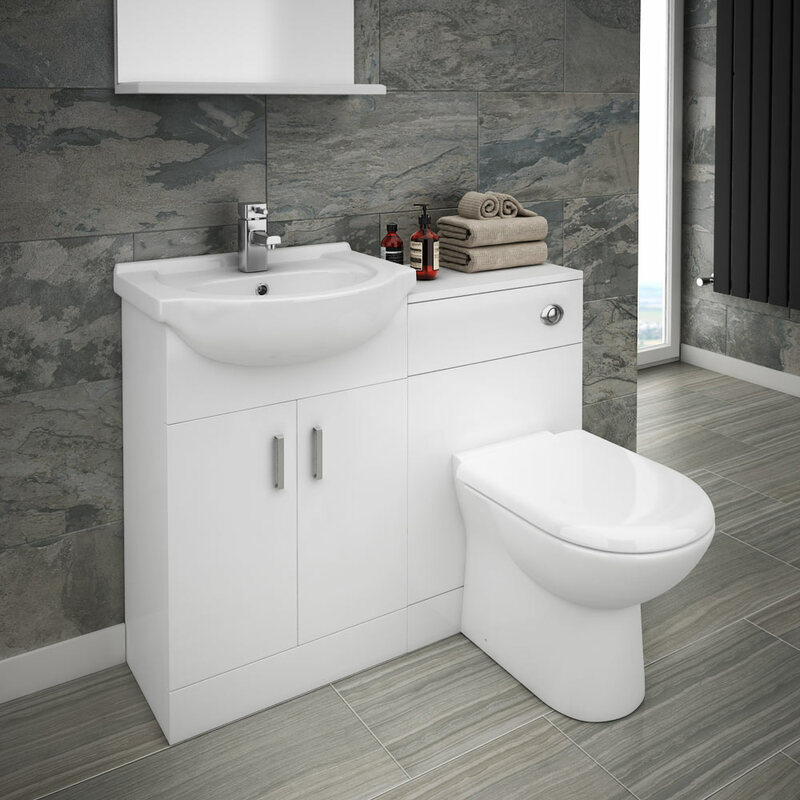 Opt for a rounded toilet seat over a square one and consider vanity units with recessed handles like the Monza range of bathroom furniture pictured above. An enlightened small bathroom idea is to install lots of smaller lights in your bathroom over one big light in the center of your ceiling. The extra lights will add more illumination to the room which in turn will make it appear bigger and more inviting. A bathroom fixture which has massively grown in popularity this year: combined toilet and basin units are a superb small bathroom idea. 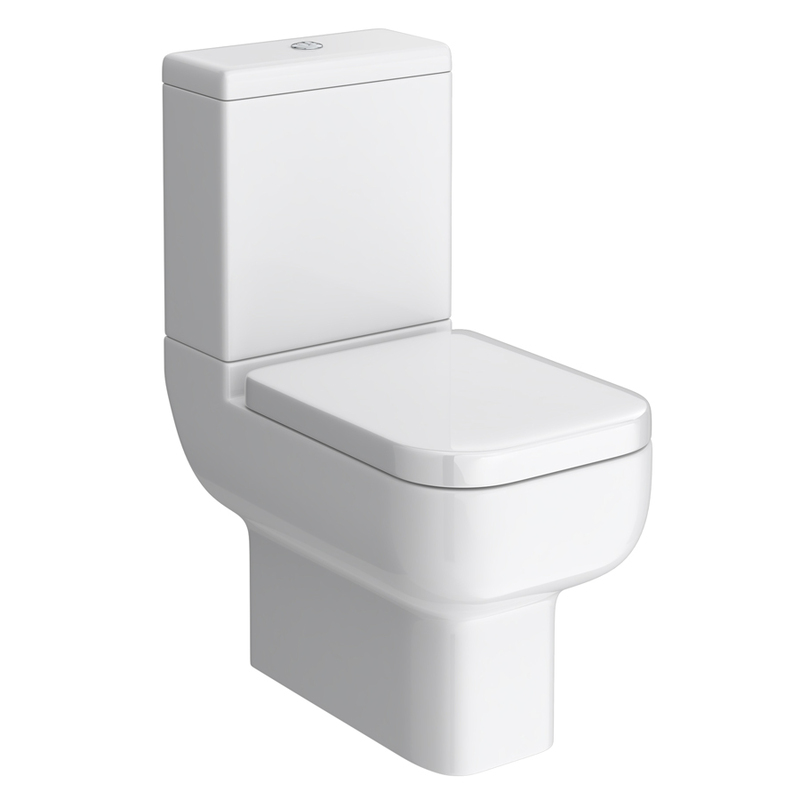 The Nova toilet and basin unit, pictured above, boasts a 500mm soft-close toilet topped with a slimline integrated basin. It will save tons of space but it will also make for quiet toilet trips in the middle of the night! Open up the floor space in your bathroom by choosing wall mounted units over standard floor mounted units. Wall mounted vanity units have become popular small bathroom ideas because many come with an integrated basin on top. 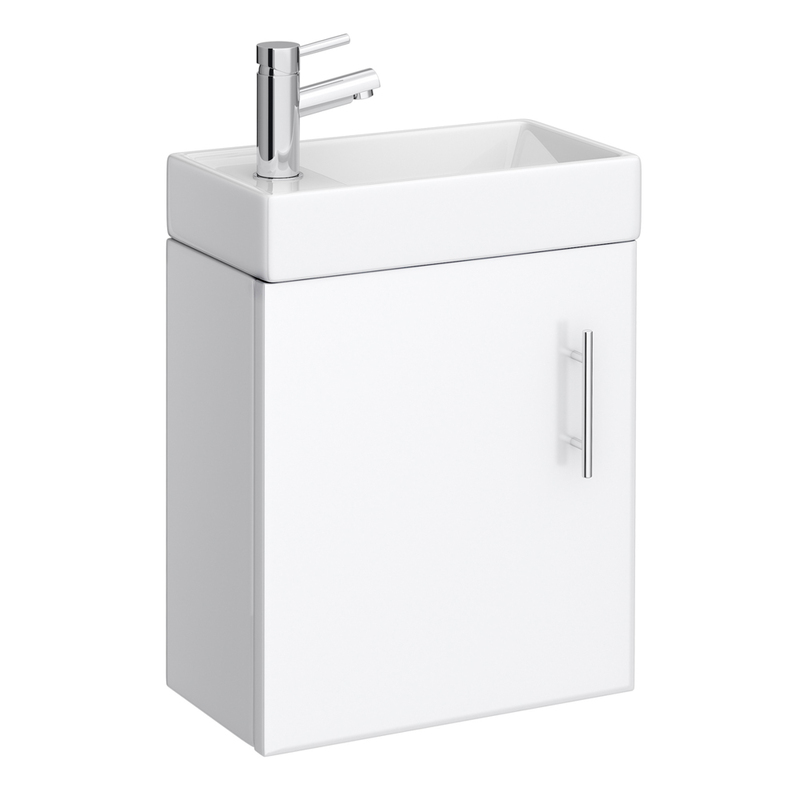 A better option still is to go for a compact vanity unit which has a slimline appearance or even a corner mounted vanity unit. 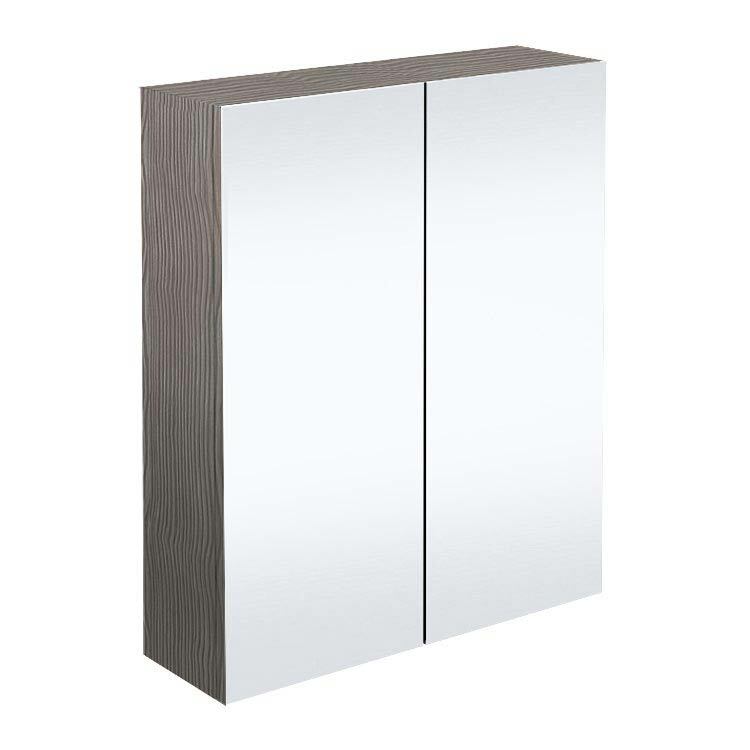 Mirrored cabinets are a great choice for small bathrooms because they combine two functions into one. There are lots mirrored cabinet styles available at Victorian Plumbing. One of my favourites is the Brooklyn mirrored cabinet because it matches up with the rest of the Brooklyn range. Customers opting for a shower enclosure over a bath is a bathroom design trend we are seeing more and more. 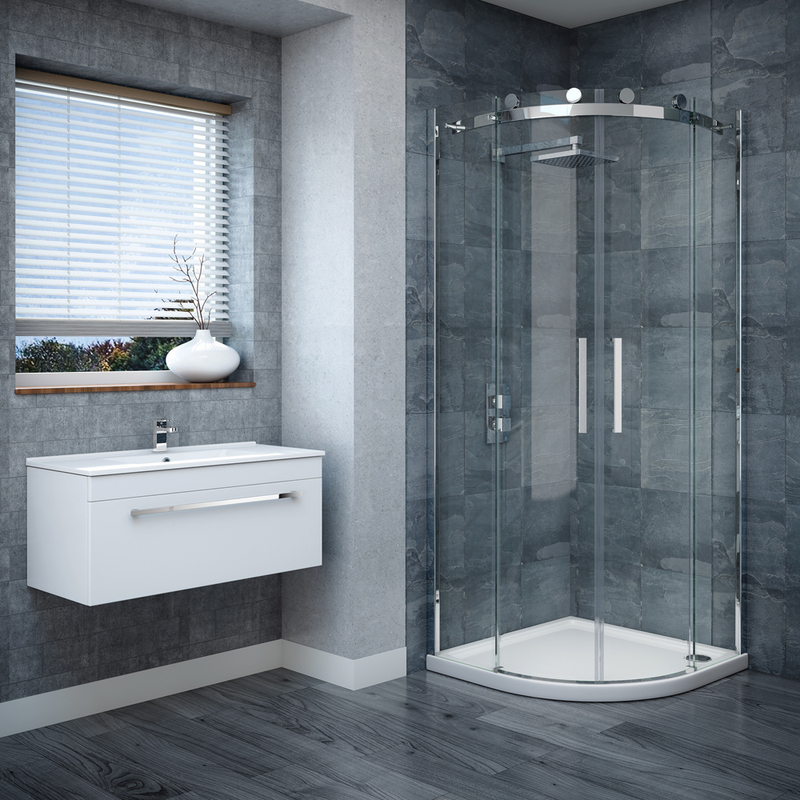 The reasoning is simple: save space in the bathroom and time in the morning by installing a shower enclosure instead of a bath. A popular choice is to go for a curved corner unit which really makes the most of your available space. 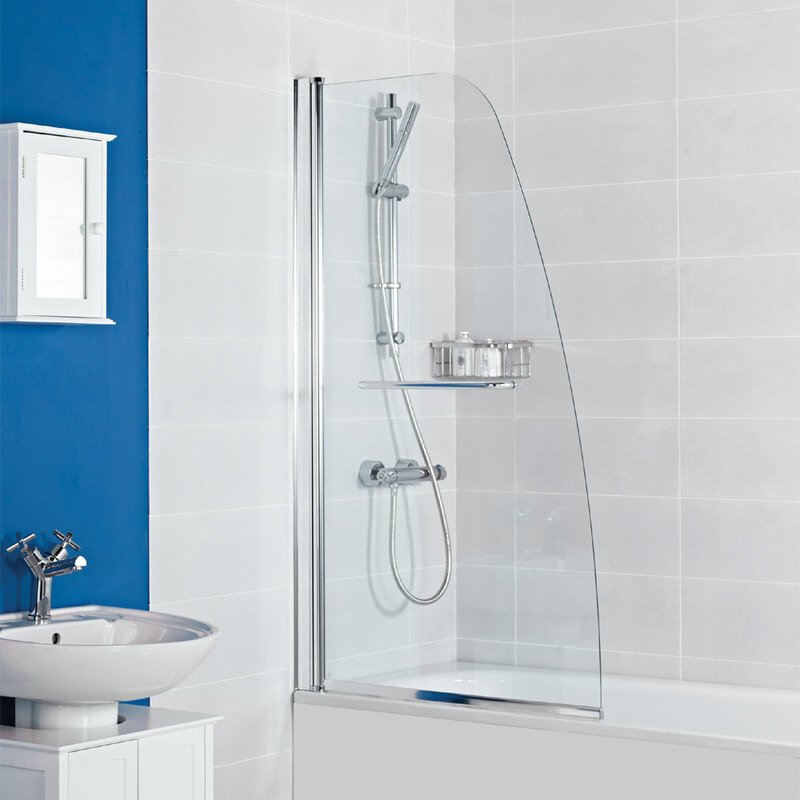 If you really have your heart set on having a bath in your bathroom then why not choose a bath shower. There are lots of options to choose from that included both L shaped and P shaped designs. Also, keep a close eye on the overall length of the bath as shorter options of the same model are often available. Use bold horizontal lines on your bathroom walls to make the room appear longer and more spacious. The same tip applies to using bold vertical lines to make the room appear taller. 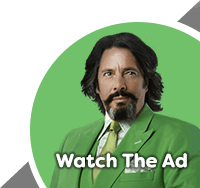 Keep your eyes peeled for other people using this small bathroom tip: it's more common than you think. When deciding upon a toilet for your en suite bathroom or downstairs toilet bare in mind that you can now buy short projection toilets that take up less footprint on your bathroom floor. There are some superb options to consider; one of our most popular short projection toilet seats is the Pro 600, highlighted above. The available space around your basin is really important because we all like to have our bottles and potions to hand when we're getting ready for the day. 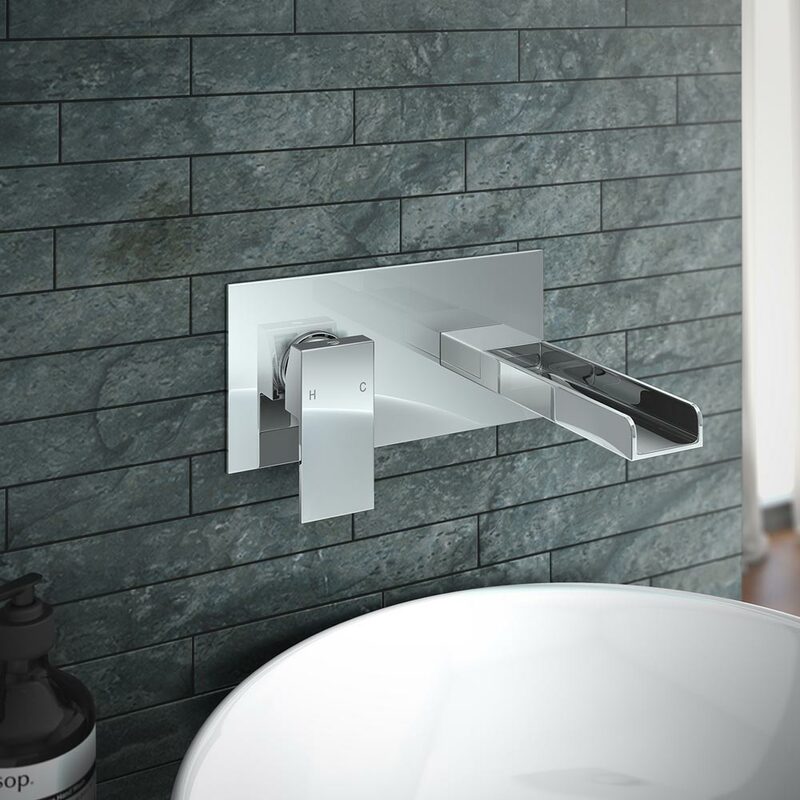 A great solution to free up space around your basin is to install a wall mounted tap. They look stunning in addition to saving space so take a look at the options available and see which style might suit your bathroom design. Another space saving tap option to consider are cloakroom taps. 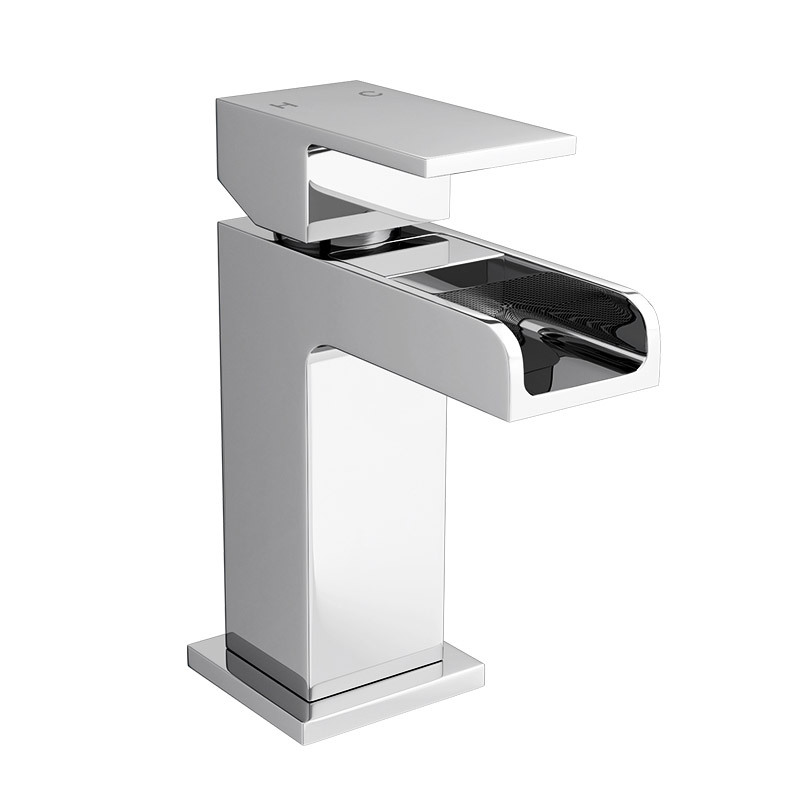 These taps have a narrower profile than standard taps which means they will fit in spaces where other taps might not. A tap that has proved especially popular with Victorian Plumbing customers this year is the Plaza waterfall tap featured above. As we discussed earlier: using the corners of your bathroom really does free up space. Therefore, why not place your toilet in the corner of your bathroom instead of the more traditional centre wall placement. Making good use of the corners of your bathroom frees up space for additional bathroom fixtures. Floating shelves provide an elegant way to display decorative bathroom accessories like scented candles and gorgeous smelling soaps & lotions. Clever options include corner shelves or straight shelves stacked on top of each other. 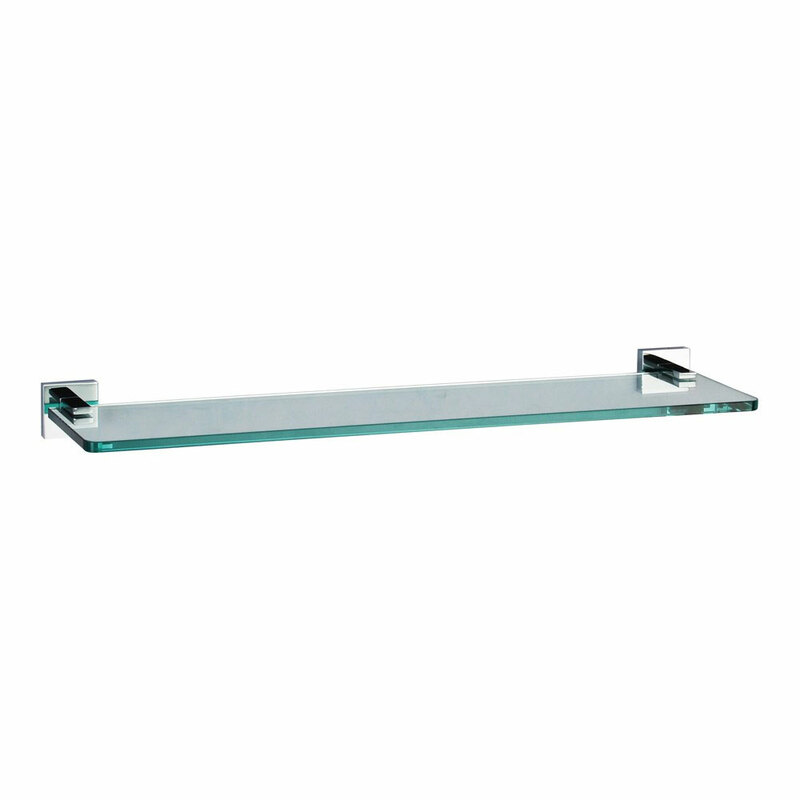 Glass shelves are great too because they won't cast dark shadows on your bathroom walls. Shower curtains in small bathrooms can appear bulky and serve to break up the room. The room can then appear to look a little claustrophobic. A better option is to choose a bath screen (also known as a shower screen) instead because it will allow for more light to flow around your bathroom while still making sure your floor doesn't get soaking wet every time you're in the shower. When choosing the colour of your bathroom walls: go for solid colours instead of walls that are busy with many colours. A small bathroom with too much going on colour wise runs the risk of looking dingy and cramped. If you simply must have lots of colour in your bathroom then think about making one wall a feature wall full of colour. Ceramic tiles are the perfect way to make sure both natural and synthetic light is reflected around your small bathroom. There are an enormous amount of ceramic wall tiles to choose from online at Victorian Plumbing, so take your time and pick a shade that's perfect for you. Also, don't forget you can order a sample tile before committing to a certain colour. 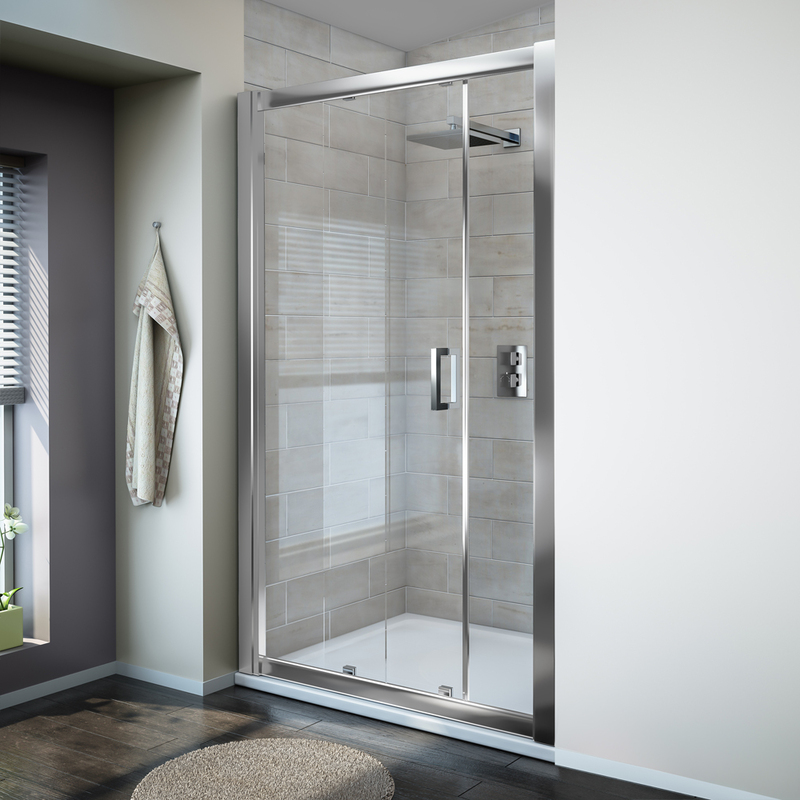 Instead of opening outwards like a standard shower enclosure; a sliding shower door will simply glide to the side as you get in and out of the shower. This is a neat small bathroom idea if you want to make sure the space in front of the shower opening is always free. Sliding shower doors come in lots of different shapes and sizes so measure up and find one that's right for your bathroom. One of the simplest ways to instantly create more space in a small bathroom is to use light colours on the walls and dark colours on the floor. 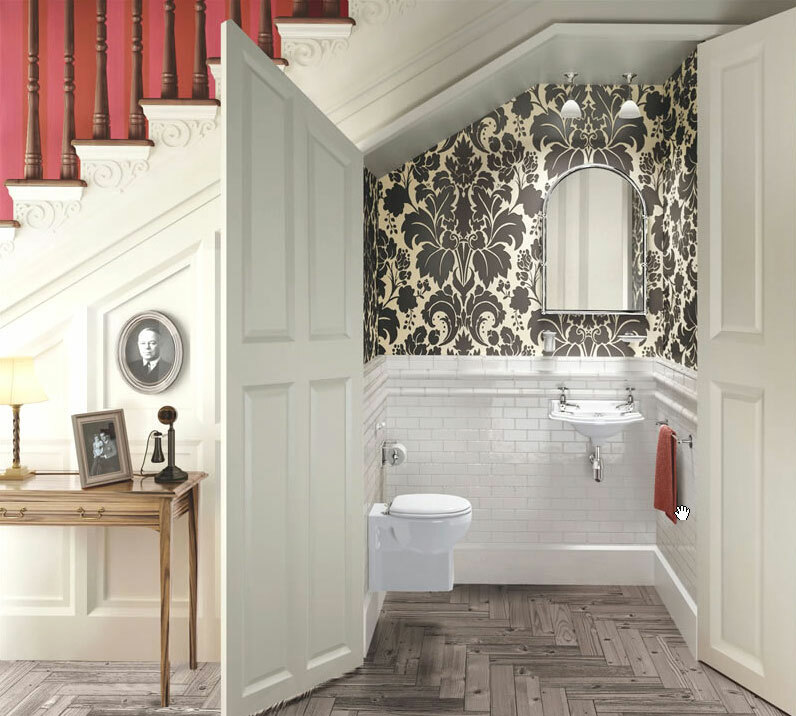 A nice example of a space using this style to great effect is the Burlington wall hung cloakroom suite, pictured above. And there we have it: 21 small bathrooms ideas to consider for your own petit space. Which of the tips listed above are you going to go for? If you have any questions about your own small bathroom then please do not hesitate to get in touch with us on the VP Facebook, Twitter, Google Plus, Pinterest or Instagram pages. Thanks for reading guys and the best of luck with your small bathroom.